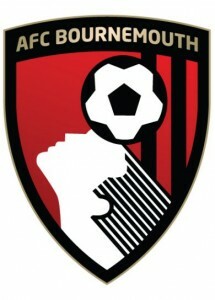 This weekend’s game against the Premier League new boys Bournemouth is being touted by many as a must-win game for both sides given the poor run of recent results for both sides, but it takes on added significance for the Swans and Garry Monk given the speculation surrounding his future – particulary in the last few weeks. Whilst a draw wouldn’t be the end of the world or the end of Monk’s reign as manager for that matter, a win would certainly give him and his team a much needed confidence boost with some (on paper) trickier encounters ahead in late November and December. It’s hard to believe that Swans have only managed one win since beating Manchester United at the end of August and that was against a poor, struggling Aston Villa side. So what has gone wrong? Well for me there’s a number of factors, everyone got carried away with the bright start to the season and take of the champions league – we became complacent. Some lacklustre performances, coupled with international breaks, distrupted the opportunities to put things right and players form suffered, but perhaps more than anything, it impacted heavily on the players confidence levels. Good sides don’t become bad sides overnight (or in a matter of 6-8 weeks) and I genuinely believe that several positive results over the next half-dozen games will see the Swans of old return to the side we are familiar with, rather than the shadow of the side which we are currently seeing. The Norwich game was an chance to put things right, but perhaps, with the Swans at home against the third from bottom Cherries, this weekend presents an ample opportunity to do exactly what they needed to do against Norwich – win. Monk appears to back his players rather than drop them and hit their confidence further, but he may have his hand forced this weekend given recent results. The Swans have a full strength side to choose from and we may see a couple of changes in personnel with possibly Bartley replacing Fernandez and Eder replacing the out-of-form Gomis. Bournemouth are exactly flying and their form is worse than that of the Swans, having not won a Premier League game since September. A growing injury list of key players is partly to blame for their run of recent results. The manager Eddie Howe is a keen admirer of the way the Swans play football, and like the Swans, the Cherries have received plenty of plaudits for their style, whilst often not getting the results they deserve. With a long injury list seeing Bournemouth without skipper Tommy Elphick, Callum Wilson, Tyrone Mings and Max Gradel, Howe is hoping that Marc Pugh will make a return this weekend. Swans old boy and local product Shaun MacDonald will no doubt relish a return to his roots and should he make it onto the pitch will no doubt be given a warm reception from the Liberty Stadium faithful. In terms of past results, history is very much on the Swans side with them having lost just once at home against the Cherries in their last six games (W4 D1). Ironically the last time the two sides met at the Liberty, the Swans lost 2-1 but went on to be promoted from League One whilst Bournemouth went in the opposite direction. We’re backing the Jack Army to really get behind the Swans tomorrow and to keep in line with the history books with a narrow home win. Fabianski, Naughton, Bartley, Williams (Capt), Taylor, Ki, Shelvey, Ayew, Sigurdsson, Montero, Eder. Given the poor form of both teams, you might be inclined to sit on the fence and go for a draw. You’ll get odds of 5/1 for a 1-1 draw with Sky Bet. Putting your money on Gylfi Sigurdsson or Eder to score first at 6/1 isn’t a bad bet either, especially given the Icelandic international’s tendency to score from free-kicks.